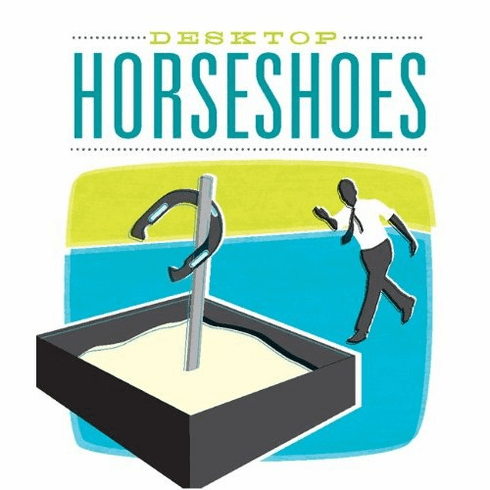 Bring the fun of horseshoes indoors on rainy days and during the cold months with this miniature desktop version of the classic game! Now you can practice virtually anywhere with this portable kit that sets up easily in minutes. Included are two mini plastic pits with ÒstakesÓ, 4 metal horseshoes, a bag of sand, and a 32-page guide that will help you become a horseshoe pitching champ in no time. Conjure relaxing days in the backyard anytime, anywhere with Desktop Horseshoes!